Let’s study the facts. 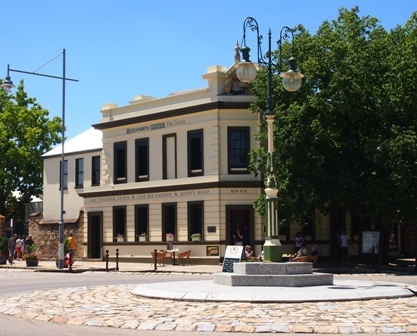 Beechworth town offers three restaurants of distinction, Provenance, The Ox and Hound and newcomer The Press Room. Provenance is the leader of a fine pack of chef driven restaurants. Not a chain restaurant in sight either; it’s a town that embraces individuality in both wine and food. The Ox and Hound offers modern Australian/Asian influenced food with sophisticated flash and real talent. The Press Room (formerly the Green Shed) offers a sophisticated take on tapas with local wines to match. All in all, the dining stage in old Beechworth sets an exhilarating standard much larger communities find hard to match. Not bad for a town of fewer than five thousand inhabitants. Add to this illustrious mix the Bridge Road Brewery for its pizzas and artisan beers, the town’s most popular family venue. With The Larder Fromagerie and Provisions, great for coffee and cake expertise, the Beechworth Provender for its local wine selection and the famed, though touristy, Beechworth Bakery (don’t miss the Vanilla Slice) for its general all round welcome and you have a town of serious gourmet reputation. 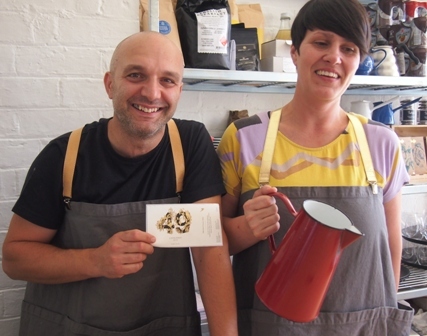 Excellent news for all Beechworth aficionados: Rocco Esposito and Lisa Pidutti (former owners of Wardens) are back in town with a hot new venture simply called ‘Project 49’. Aiming to supply most of what they sell from their local organic farm, they’re currently running a lovely little deli/cafe with a view towards serving evening meals. A liquor license approval is pending (January 2016). Just behind Rocco and Lisa’s new shop at 49 Ressom Lane off Ford Street is the new Eldorado Road Cellar Door wine sales shop. Terrific well priced wines direct from the vineyard at Eldorado up the road from Tarrawingee. Tanswell’s Commercial Hotel pub at 50 Ford St is another local favourite. Food isn’t great but the atmosphere is authentic country retro. Looking for eccentric local characters, tired and emotional regulars, blow ins from the big smokes? This is the place. Near this is Paul and Ivy’s All Day Diner at 38 Ford Street, which is now open for dinner weekend evenings. Ivy is from China and her cooking influence is prevalent. Home made dumplings are a stand-out. 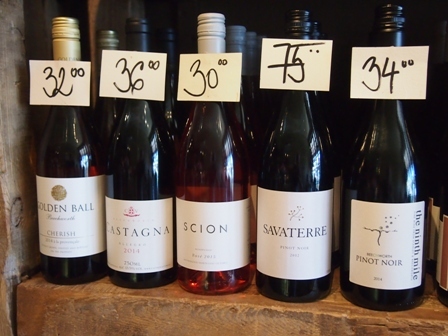 The Cellar Door Wine Store, owned and run by two ex-Provenance employees, Aaron and Martina, has stepped up in offering many local wines by the glass. 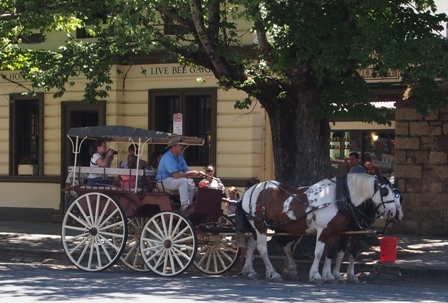 Beechworth wineries are mostly open by appointment only, creating problems for visitors unused to advanced planning. To everyone’s benefit, Aaron and Martina have opened a centrally located cozy wine bar that promotes the best local wines available, many served by the glass, all by the reasonably priced bottle, as well as a tidy selection of some of the finest spirits and fortified wines known to mankind. For instance, when I see Tesseron Cognac on a top shelf, I know I’m in safe drinking hands. By the way, arguably speaking, the town’s best coffee is to be had here. The changing cheese selection is a winner. Another local hero, the Beechworth Honey shop (and experience) continues to charm its way into all sweet hearts. Under no circumstances should a visit to this small store be missed. A very complete range of honeys is on sale along with a thorough assortment of products made with all the great stuff that exudes out of a bee’s bum. A new premises opened recently in an old bank building with a terrific cafe attached. Though Beechworth is justifiably famous for its well preserved historical past fuelled largely by a wildly successful gold mining rush, boasting an austerely impressive gaol (Ned Kelly was remanded into custody here) and an insane asylum (reputedly haunted) all amidst a town centre full of facades that hasn’t changed much since 1870, it has become since 1995, a place where travellers also dwell happily in a rural gourmet’s paradise. With Beechworth’s growing touristic popularity, rents have increased as available empty shopfronts for more cafes and restaurants dwindle. Now it’s a chance situation for many clue-y operators to sink or swim in this competitive marketplace. Which is why a few entrepreneurial types have looked outside Beechworth’s somewhat narrowly concentrated main streets for greener less expensive pastures. To wit, one stands out for special gourmet mention in the newly renovated pub, The Plough Inn of Tarrawingee approximately half way between Beechworth and Wangaratta. In tiny Tarrawingee, a fly-speck crossroads village that used to serve as a mainstay on the old 19th century Cobb and Co carriage route, one pub remains, The Plough Inn. Acquired early this year by Andrew and Feona Roscouet (Andrew was the head chef at Warden’s Wine Bar & Restaurant), the old dame has been tarted up in fine fashion. Roscouet is an experienced chef who knows his way around the pans. Cooking both ways with a bar menu to suit regular pub customers and a restaurant menu to suit insatiable gourmands, to wit: Chicken Parma, Burgers, Fish and Chips or Roasted corn chilli croquettes and sauce Romesco, local lamb, beef and illustriously imaginative creations arriving on big plates at a fair price have ensured that this wonderful old pub has attained a new lease on life. A sunny beer garden out back, a localised wine list and fine service have also combined to add credit to this region’s claim as a food/wine lover’s fantasy homecoming. Indeed nearly the whole of northeast Victoria is somewhere hungry travellers fill up. 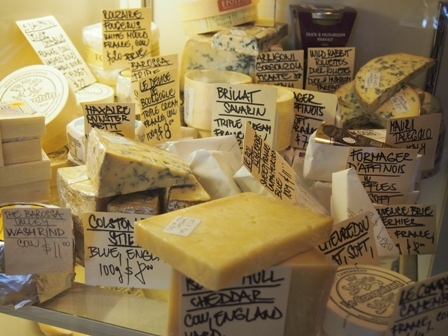 From wines and walnuts to chestnuts and cheeses, it’s a very mixed bag of treats. Local horticulturalists produce some of the country’s best apples, pears, peaches, plums and quinces from some of the country’s most picturesque orchards. Asparagus in spring, tomatoes in summer and pumpkins in autumn represent vegetarian paradise while the continental climate combined with rich volcanic soil effortlessly reaps bounty. In tiny surrounding towns like Stanley, the Beechworth bonanza has reached rich heights, literally. Stanley is nearly 300 metres higher up than Beechworth, a completely different climate zone. Just outside town, Michael Nuck produces some of Australia’s best saffron. The fickle weather here parallels that of colder parts of Iran where tonnes of saffron are hand-picked, mostly for export. At approximately $35,000 per kilo, this rare spice out prices gold. If conditions are right, the crocus flowers rise up in late autumn. The stamens are picked very early morning before the sun opens the flowers, drying the fragrance and diluting its intensity. Saffron quality is at its best early morning. Producing saffron is labour intensive; it takes some 150,000 flowers to produce one kilo of dried saffron. No wonder this stuff is expensive. Imitations abound of course. If you’re lucky to have real saffron in your pantry, the difference between it and artificially coloured imitation saffron is like night and day. Sadly, conditions haven’t been kind over the last few years and the saffron harvest has been a meager one. Stocks are non-existent for the time being. Most vineyards are located west of town along the C315 road to Wangaratta at altitudes from 300 to 550 metres. A scattering of other wineries are north and northeast of Beechworth along the roads to Chiltern and Wooragee sited between 300 and 400 metres. Beechworth town centre is at 550 metres, Stanley is at 800 metres. Unfortunately most wineries are not open to casual visitors. Some advance planning is required to visit. Dropping in is inadvisable. That being said, curious enthusiastic visitors may be welcomed with open arms though prior arrangement is necessary. My preferred recommendations from an excellent bunch that require advance notice for visits are: Savaterre, Giaconda, Piano Piano, Smith’s, Sorrenberg, Castagna, Serengale, Golden Ball and Star Lane. Amulet and Tinker’s Hill wineries are open weekends and public holidays. Fortunately, two wineries are open to visitors seven days, Indigo and Pennyweight. My top pick is Pennyweight. Owned and run by the Morris family, Stephen N, Elizabeth, Fred, Stephen MG and CJX, their bio-dynamic wines are uniformly superior while their range of fortified wines from a very well managed Solera system are absolutely outstanding. To sip a Pennyweight Fino or Amontillado or Oloroso sherry style wine is to see real gold in a glass. Much as I love authentic Spanish Sherries and Portuguese Ports, Pennyweight does wonders with their Antipodean versions of those time-honoured Iberian wines. As time (and the angel’s share) go by, I’ve grown to love this winery more and more. The sheer expertise in operation here is remarkably consistent. Kudos to this wonderful family run winery. During a recent visit, I was fortunate to view the ‘flor’ resting contentedly in barrel, creating magic in wine as it works prestidigitation on fermented Palomino grape juice on their way to the next glorious Pennyweight Fino or Amontillado or Oloroso style Aussie made fortified wine. Back in Beechworth after a long day’s touring around wineries and orchards, I dine again at the best of the best, Michael Ryan’s Provenance. Eight courses means for me, delicious degustation. When a talented chef like Michael Ryan wants to choose my dinner, I’m very happy. After another memorable feast in December 2015, I’m convinced Ryan is performing at the top of his game. Floor staff are better than ever, oozing confidence while being country-friendly. The wine list is in superb form with more rare sakes taking pride of place among local stars. Ryan and his chefs often serve straight from the kitchen these days, an additional charm offensive that works. Overhearing customers exclaiming delight and praise straight to the horse’s mouth so to speak, I notice a gradual nuance from formality to organised relaxation. Michael Ryan’s imagination and grasp of flavour integration is an illumination of gastronomic alchemy. Go to Provenance and find out for yourself what brilliant cooking is. If you detect a Japanese influence here, it’s a reflection of Ryan’s admiration of Japanese flavours and style. A project based in Japan now benefits from Ryan’s advice and help while he makes regular visits to the land of the rising sun. The Japanese influence on Provenance’s overall sensibility is one of its strongest attractions, that and the fact that Michael Ryan is one of Australia’s most brilliant chefs. He combines two cultures (and a scattering of others, Italian and French spring immediately to mind) in seemingly effortless fashion, a veritable antithesis to the notion of gastronomic ‘con-fusion’. Michael Ryan at the helm of Provenance is an inspirational driver. Other chefs look to him as a benchmark while they assert their own individual talents. This is healthy competition at its best. 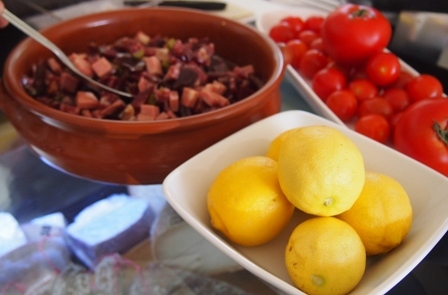 Beechworth residents and visitors alike are lucky to have such a wealth of cooking and wine-making talent close at hand. Their constant striving to improve their businesses is both impressively dynamic and resolutely commendable. See www.northeastvalleys.com.au for more food and wine focused touring information, suggested itineraries and annual local festivals and events. See www.beechworthonline.com.au www.beechworth.com.au and www.beechworth.com for suggested accommodation, transport information, general facts and history, cycling paths (the Rail Trail from Wangaratta to Bright has a spur line to Beechworth) and other information pertinent to interstate and international travellers. Pennyweight is my favourite cellar door. One of only two open daily in and around Beechworth. It’s the best by far and rightly nationally famous for its bio-dynamic table and fortified wines. Indigo Vineyard is owned by Brokenwood of New South Wales. It’s quite a substantial vineyard for this area (46 ha.) and produces high quality wines separate from the larger Brokenwood group. Top picks are the Chardonnay, the Bordeaux red blend (Cabernet Sauvignon, Merlot and Petit Verdot) and a very good Shiraz, all from the vineyard outside the lovely cellar door. Their Muscat from Rutherglen grapes is very fine as well. Indigo’s cellar door experience is rather structured; a seated tasting experience with a small snack to cleanse the palate between wines. If time is short or the formality of the tasting is too much, ask to sample the wines at the bar instead. Cellar door manager Bridget Hooper is more than pleased to ensure all customers’ needs are met. Amulet Wines is the last of the three that boasts a cellar door open to the general public without appointment. I’ve tried a few Amulet wines over the years. They’re representative of the region’s overall superior standards. See www.beechworthvineyards.com.au for up to date opening times for cellar doors and information regarding visits by appointment, maps and further links. Provenance under chef/proprietor Michael Ryan’s guidance continues to impress me like no other restaurant in Beechworth (and most of country Australia for that matter). This is the short list and I’ve stayed in all of them. Wow! Absolutely delightful, top-notch facilities, great location and perfect hosts. This is the B & B I want to live in. Owner operators Peter and Margo are consummate hosts and have created a luxuriously appointed retreat in a lovingly restored house with extensive gardens and private pool. Do yourself a favour, stay here at least one night just to see what authentic hospitality is all about. The other top accommodation in town, one of Australia’s most awarded boutique B & Bs. Try to score one of two Crystal Suites overlooking the garden and pool with direct veranda access though all the rooms are superb. Attention to detail is unparalleled. Breakfasts are excellent. Under new owners, Steve and Irene, Barnsley House continues to raise the stakes in superlative accommodation. Like Finches and Freeman on Ford, Barnsley House is a big notch above its competitors. 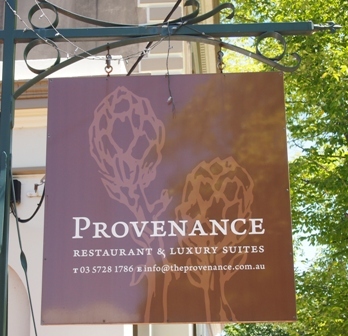 The Provenance Restaurant also offers excellent accommodation. The Hotel Nicholas has two large rooms for overnight accommodation. Breakfast is a ‘do-it-yourself’ affair comprised of very ordinary elements (two pieces of bread, packaged jam, butter, packaged juice, tea and coffee bags) but the rooms are surprisingly grand and pleasingly priced. Parking is in the street outside the hotel but there wasn’t a problem finding space even on a busy holiday weekend. Best of all, the hotel operates a terrific restaurant on its upstairs balcony. Run by the Stanley Pub’s former chef, she’s a great cook who understands the integrity of using excellent local produce. The Nicholas is the town’s best place in which to see live music. The downstairs pub dining room converts to an intimate performance space (seating for approximately 80 persons) from 9pm on most weekends and attracts a strong local and interstate following. It’s a wonderful place to catch local talent. Occasionally internationally famous musicians play here; it’s that good! Thank you Barb. Indeed Michael Ryan is a brilliant chef/restaurateur. Lucky you to have his food at your wedding. Twice lucky that you stayed at Albertines, one of our favourite hostelries in all NE Victoria. All’s well in NHT world, thanks for asking. Hope our paths cross soon. Thanks Jamie. We always try to do our best. 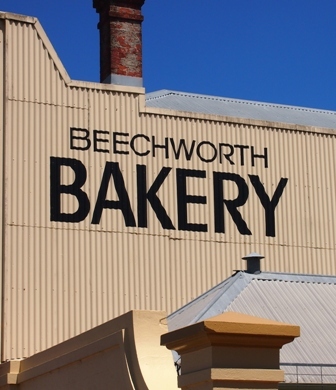 Places like Beechworth make our job an enjoyably easy one.